As a child, Elizabeth Fitzgerald Howard loved to read. That her books showed a white world didn’t matter to her back then. She identified with treasured characters and didn’t question the lack of diversity. But when Howard grew up, and multicultural children’s books began to bloom, she realized she missed something important — reflections of her people and herself. Howard set out to change that. She mined her family life for tales that spoke to the African-American experience, the American experience. Her book, Aunt Flossie’s Hats (and Crabcakes Later), illustrated by James Ransome, is a beautiful example of how a tale rooted in black culture speaks to people of all races. Howard said she’s delighted when people say to her Aunt Flossie reminds them of someone in their family. Next year, she’ll celebrate the 20th anniversary of that classic picture book. It’s one of her most acclaimed works. Howard’s books, often inspired by real-life family stories, follow the adage, “write what you know,” in a powerful way. Her characters bear the names of family members. She explores relationships and experiences in a black middle-class family. Howard hopes her books will show children that their stories are important. “I want them to see themselves as part of America’s past and future,” she said. Howard, a former librarian and professor, is a beloved author who lives in Pittsburgh, my hometown. So I’m particularly proud to share her work. Please tell us about the role storytelling played in your family. How did that experience help shape you as a writer? Storytelling was definitely important in my family. My mom, dad, Cousin Chita, Aunt Flossie, Aunt Jo were all storytellers. Sunday dinner was the best time. We heard about Raw Head and Bloody Bones, Uncle Clem and the great train, great Baltimore fire, waffle man, Chita’s dad (Uncle Harry) and Cuba, etc. I learned the joy and necessity of family stories and their importance in African-American family life. I read that you call yourself the “Grandma Moses” of children’s books because you began writing them later in your life. What inspired you to write for children? I was a children’s librarian for five years at Boston Public Library. When I had my own kids, I became dedicated again (as when growing up) to books for kids. As a professor of library science, I taught mainly children’s literature and began meeting authors as I attended many conferences. I recognized forcefully the dearth of books about African-American experiences by African-American authors. I was inspired by the charm and simplicity of family stories by Cynthia Rylant such as When I was Young In the Mountains. I wondered if my experience as a 7-year-old riding with my 4-year-old sister all day on the train from Boston to Baltimore could get published. I did not know any family stories about just the every-day life of the regular middle-class, so in my mid 50s, I gave it a try. 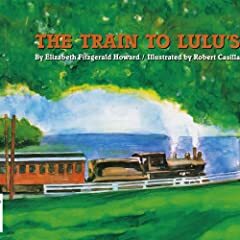 How did your first picture book, Train to Lulu’s, come to be? Please share your path to publication. What were the toughest and most rewarding moments? I joined the writers workshop at Marilyn Hollinshead’s wonderful Pinnochio, children’s book store. I sent my story off to good friend Trina Schart Hyman for comments. She was VERY helpful and said the story needed conflict which I added. I sent it off. It was rejected by several publishers. I accosted Richard Jackson, an editor at Bradbury, at ALA. I told him I had sent it to him and received no answer. He was chagrined. He grabbed me by the shoulder and pulled me away from the hubbub around his booth and urged me “Send it again!” I did and he accepted it!!!! Happiness! He soon left Bradbury leaving the book with editor Barbara Lalicki, one of the editors who had rejected the manuscript. Help! But she wrote to me: “I see it is my happy fate to be involved with TRAIN TO LULU’S after all and she saw it through to publication in spring 1988. Joy! My most rewarding moment was driving over to Pinnocchio Bookstore to a book party for ME! But I certainly didn’t think I was a children’s book author. My family was ecstatic! My dad kept grinning and repeating: “I can’t stop reading this book!” My sister Babs loved it although she was a little unhappy that I had made her cry (in response to Trina Hyman’s advice regarding the story needing some conflict . . . (“I never cried!” she said.) Lulu had left us at age 96 way back in 1966, but all of the named folks gathering at the train station in Baltimore raved! I was already a grandma when my first book was published. What was the racial landscape like when you first entered the field? How has it changed? What gains make you proud? What do you hope the future brings? Well, there were very few books about African American kids, very few black authors…hardly anything about contemporary families i.e. mid-20th century. So the field has changed exponentially!!! I am excited about Christopher Paul Curtis, Sharon Flake, Angela Johnson, etc..etc..etc.. Many distinguished authors. Starting in very late ’80s, ballooning in the ’90s , multicultural books were hot!! Every regular publisher and new one had to have a multicultural list. African-American books and authors got mixed in that madness. For a time, I had a sense that some teachers and school districts might have been thinking, ‘Maybe we’re getting too many “multicultural” books.’ For a while, it seemed interest in black authors and books was flagging. You’ve been heralded for your portrayal of loving relationships in middle-class African-American families. I read that you love to show that African-American stories are true American stories. Could you please talk about that? Why is that important? I’ve always stressed to audiences that the African-American story/stories is/are the AMERICAN STORY. People forgot that we were here. We were not on the edge of the history. We were very much part of it. The picture books I’ve had published show family relationships… One of my speeches/ talks is titled: We All Have Our Aunt Flossie’s. I’ve been told that the stories about a particular person (Aunt Flossie) and her role in a family mirrors people in any American family…listeners see themselves in Chita’s relationship with her dad…WE ARE CONNECTED beyond blood or ethnic heritage. We are human. Your books have won many accolades and awards. What writing accomplishments make you most proud? How do you measure success? Aunt Flossie’s Hats, illustrated by James Ransome, continues to get sizeable royalties every year. The illustrations were absolutely stunning. I’m proud of it for all of those reasons. I’m excited about Virgie Goes to School with Us Boys, illustrated by E.B. Lewis, because it came about as a result of travel we did. We knew my dad had said my grandfather had been born in Tennessee. The brothers had all gotten educated, but we didn’t know anything about their childhood. When I heard about the walk through the woods carrying their food for the week, I immediately thought picture book. I read that the Quakers had established a school after the Civil War and the building was still on Main Street in Jonesborough, TN. I got very excited. We stayed for a week and found out there were Fitzgeralds still there. I read that you didn’t see black characters in the books you read as a child. How did this influence your work? Why it is important for children to see themselves in books? You’ve been a librarian and professor of library science. In what ways can authors and libraries work together to raise awareness of black children’s books? I think when I was a young reader the race of the people in books didn’t matter . . . We lived in an African-American lady’s rooming house. The other dwellers were black grad students. The house was the biggest and best on the street. No one else on the street was black. All the kids at our schools were white. The only black kid I saw was my sister. Sooo . . . if kids we played with were white, and the people I met in books were white, in my early years, I identified with them. Maybe I thought book people just happened to be white. And I grew up identifying with Heidi and the Five Little Peppers and the Bobbsey Twins and Understood Betsy and most of all with Jo and Beth March. And it didn’t matter what color they were. But suppose I had had black book friends? I know now that I would have been delighted to see myself in a book. When our daughters were brownie scouts and saw that book about the little African-American brownie, I was so pleased. And of course, there was the SNOWY DAY. It was so exciting to have a Caldecott winner with a black main character. I belatedly began to miss reading books with me in them. So in the ’80s, publishers, librarians and teachers got “religion” and began sloooowly to realize the importance of books about black children and I recognized how important it truly was for NON-BLACK kids to have access to books showing how black kids were basically like them. And still, in West Virginia, I heard from teachers: “We don’t have any black kids in our school so we don’t need to buy books about black kids” [or Mexican, Chinese, Indian, etc.] So when I began to visit schools and talk about multicultural books for kids, I stressed/shouted that if they didn’t have black kids , it was all the more essential to have books featuring African-American characters. I am convinced of the power of books in developing self worth. Librarians and teachers have a responsibility to work to foster this. Next year marks the 20th anniversary of one of your most celebrated works, Aunt Flossie’s Hats (and Crabcakes Later). How has your career grown since its debut? What have been some of the most meaningful moments? I am forever grateful to James Ransome and to Dorothy Briley, beloved late editor at Clarion (before Dinah Stevevson) for this book! Nine-and-a-half years ago or so, I called the publicity director at Clarion reminding her that Aunt Flossie was coming up on 10 years. I said, “Shouldn’t we celebrate?” She said, “Oh yes, maybe an article in Horn Book or something.” And I think I also called Dinah. At any rate, Dinah called me and told me that Clarion would like some biographical material and they would publish a new edition!!!!!!!!! My mission broadly is to get kids connected to books. I want them to see themselves as part of America’s past and future. I want to tell stories of the African-American family. I want to have black kids meet black authors. I want to remind children that they have stories. Aunt Flossie’s Hats (and Crabcakes Later) was brought to life in a special way last year as part of Pittsburgh’s Storywalk. What did that mean to you? Storywalk was so much fun. They take a section of Frick Park and set up tents and have golf carts that take authors to one place or another. Aunt Flossie’s Hats was at the end. They had put up a sort of stage and the Park’s department had made models of Aunt Flossie and Sarah and Susan. It was totally delightful. I told Aunt Flossie’s Hats about twelve times. It was so much fun. What advice would you give to writers just beginning their journey to write for children? You need to know children’s books. Ideally, read a lot of children’s books. If you know you want to do an alphabet picture books, you better look at a whole lot of alphabet books. Check out to see what’s already been done. Such a logical, almost no-brainer, first thing to do. I think that going back to one’s own childhood, trying to be a kid. When you’re young and have young children in your house, that’s ideal. If you can, be part of a writing group. It’s very encouraging and affirming. At Pinnochio bookstore, we would come and hear what anyone had to read. Maybe a half-dozen or so folks would be there and we would hear what someone was reading and offer suggestions. It’s good to join a local SCBWI, go to conferences, things like like that. Your beautiful books have endured in libraries and classrooms around the country. What tips can you offer those who would like to become an author with staying power? If you’re writing picture books, hope you’ll be paired with an illustrator who will be really helpful. I have been so fortunate with the illustrators – E.B. Lewis, James Ransome, Floyd Cooper. Ten books had nine illustrators. You have to know if you’re trying to write a picture book that it’s a joint production with the illustrator. In writing the book, don’t over tell. The illustrator needs to be part of the whole story. His or her vision of the story can be quite different from yours. The illustrator does have freedom and you can be disappointed. But sometimes you’re lucky enough to have the right illustrator for your book. People are doing much more school visiting today. If children’s book authors are trying to make money, it’s school visits that can really do it. Once upon a time, it was just the book itself. I’m working on a novel about growing up in a rooming house in the Depression. Family. Seeing what our children turn into. And if you think children are fun, wait until you have grandchildren. It’s just a total delight. So many things that provide pleasure – a concert, reading a book, the snowstorm we just had was beautiful. The sun shining on snow-laden branches really is glorious. 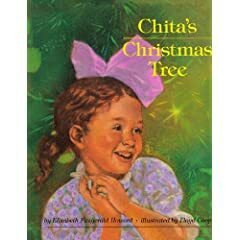 Howard (Chita’s Christmas Tree) plucks fruit from her family tree for this stellar story of an African-American girl determined to get an education just like her brothers. Narrated by the young C.C. (Howard’s grandfather), the tale is set during Reconstruction, when schools sprang up all over the South to help educate the children of freed slaves, and it is based on the particular school attended by the real-life C.C. and his siblings in Jonesborough, Tenn. Virgie, the youngest of the siblings and the only girl, is determined to attend the school, despite the protests of her family (“You scarcely big as a field mouse. And school’s seven miles from here!”). Finally, her parents acquiesce, sending her off with her five brothers with a week’s worth of food and clothing in a bucket. Undeterred by a slip in the creek and a scary trek through the woods (“Didn’t I tell you about Raw Head and Bloody Bones? Get you if you’re not good, folks said. Might get you anyway”), Virgie is a radiant heroine. The easy flow of vernacular effortlessly propels the story, and Howard proves herself adept at plucking a large-scale episode from history and adapting it to the scale of a picture book. Lewis’s (The Bat Boy and His Violin) luminous watercolors capture both the rhythms of C.C. and Virgie’s rural existence and the story’s emotional subtext, and his character studies fairly burst with life. The youngest and the only girl in a family with five boys, Virgie works hard to convince everyone she is old enough, strong enough, and smart enough to attend the school set up by the Quakers for recently freed blacks in Jonesborough, TN. By the end of summer, she has convinced her family that she can make the seven-mile walk to board at school each week and willingly handle the job of “learning to be free.” The story is a superb tribute to the author’s great aunt, the inspiration for this book. Howard crystallizes each of the family members, setting the protagonist snugly in the midst of annoying but loving brothers and wise parents. A note provides more information about the school and family. Lewis’s watercolor illustrations capture the characters with warmth and dignity; the many double-page spreads evoke the vastness of both the land and the immensity of Virgie’s undertaking. There is a blush of dialect and two thrilling references to Raw Head and Bloody Bones waiting in the woods to catch the children on their way to school. Youngsters will enjoy Virgie but it will be years before they can harvest all that is planted in this gentle tale. A worthy choice for read-alouds and independent reading. I’m another who immediately said, “OH, Aunt Flossie’s Hats!” It’s a happy thought that there will be a new edition! The fact that Ms. Howard published her first book as a grandmother reminds us all that we have no excuses not to do anything we want to, at any age. May we all do as well as she has! I was absolutely enthralled with what she had to say, and it was an honor to hear the wisdom Ms. Howard had to share. Great interview! Wow, what a wonderful interview! I felt like I was sitting in on a master class. Ms. Howard is a gift. This is great. One of the things I love about 28 days later, is you take the time to recognize the Black authors and illus. who made possible for others to follow. Great interview, Kelly! Thank you SO MUCH, Ms. Howard for sharing your writing wisdom! This was truly an INSPIRATIONAL treat! I will be presenting a program on the Lynne Hayes-Freeland Show (KDKA TV) in February for Black History Month which will present the best books for children written by Black authors and illustrators. I very much would like to include your last 3 publications. Could you get those review books for me and have them sent to my home address which I wll forward to you. Please e-mail be to let me know if this is possible so that I can continue to plan and prepare my presentation. Thank you so very much. I hope to hear from you soon. My name is Virginia Germino. Elizabeth (Betty) Howard is godmother to one of my daughters, but our mail to her has been returned. The last letter I sent to her and Larry was stamped with “unable to forward.” It was sent to Morewood Avenue in Pittsburgh. Can anyone help me find them? Unfortunately I don’t have addresses for their daughters. 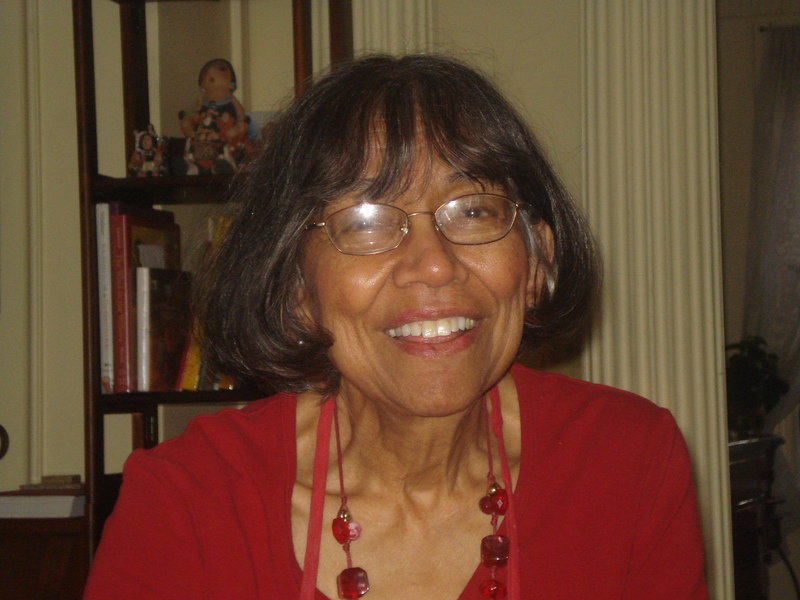 We became friends in Wellesley, Mass., because of Betty’s involvement with ESCRU, the Episcopal Church organization for racial unity in the ’60s.